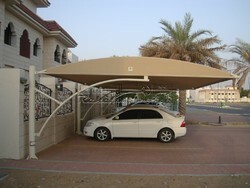 Prominent & Leading Manufacturer from Chennai, we offer car parking shades and swimming pool shades. Being counted as one of the leading manufacturer and supplier, we offer a quality tested range of Car Parking Shades. Offered range is applicable for car parking in various industries such as buildings, schools and varied others. This range protects your cars from changing weather conditions and keeps them safe and sound. 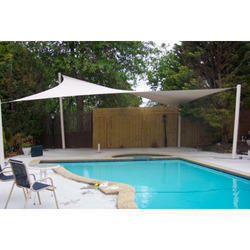 We manufacture and supply a wide range of Swimming Pool Shades. This range is available in varied patterns, shapes and sizes. Moreover, these shades are placed near the swimming pools where one can relax after swimming or can enjoy the pool area. This range is available in varied colors and designs which is reckoned amongst the clients.